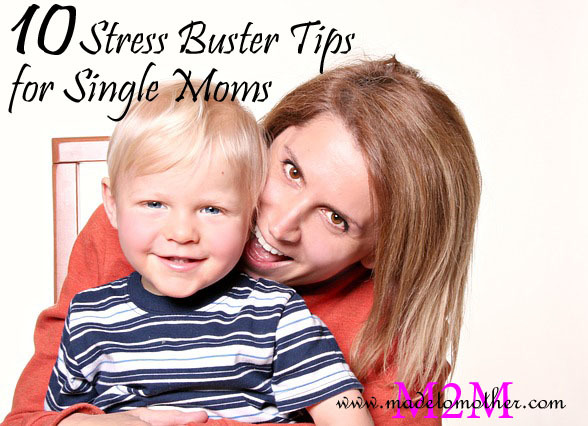 Feeling the stress of being a single mom lately? Don’t succumb to it! You can fight it. You are unbeatable. You can whip up a magical dish with your amazing culinary skills. You can make the chaos inside the house disappear in matter of minutes. With just one kiss, you can even make your little girl or boy stop crying. But if you were to be honest with yourself, will you still be able to do all of these things if you were stressed out? If you have a partner inside the house, you have someone who can take over the activities of the kids when you are feeling under the weather. As a single mom, you need to be the dad at the same time, too, which basically means that the pressure put on you is twice more than that of a parent with a partner. With this come higher levels of stress for single parents. So what should you do to keep your stress levels in check? Here are some tips that could let you keep a cool head and feel relaxed while working and being a single mom at the same time. Your ex does not want to be a part of your son’s life and you are worried about your kid not having a father figure? Ask your own father or brother to fill in that role. Too tired to do the chores since you have been working the whole day? Then the teenager next door may be in need of a part-time job and could clean the house for you in exchange for a few dollars. You need not carry the burden by yourself. Share your responsibilities with the people around you. Make it a point to follow a routine; this way your child will know what is expected of him. If you wake up at six in the morning so that he will be able to catch the bus in time, then adhere to this on a daily basis. Do this for his meal time, bedtime, and other activities for the day as well. One of the main challenges of being a parent, especially the ones who are earning below to average salaries, is making ends meet. If you are living from paycheck to paycheck, you need to reflect now on where your money is going. Use a calculator or an excel sheet and write down your needs. Take off the ones that are not considered “urgent” until you get your finances together. Your mind and body need rest and sleep for at least eight hours a day. Lack of sleep will not only make you cranky; it will also make you lose your focus at work or possibly snap at your kid even when he is just being noisy. Although you love your child very much, you also need to take care of yourself, too. 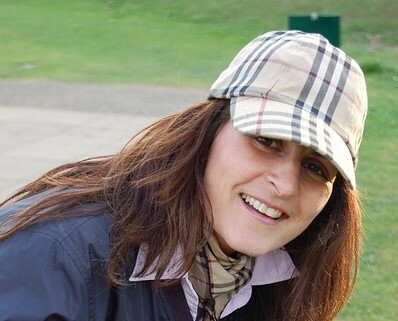 You can’t expect to be an effective mother if you do not feel happy. Aside from your kid, what are the things that make you feel joyful? Visit the salon and get your nails painted. Go out and have dinner with your girlfriends. Or if you have some extra cash, go try on some clothes at the mall and get something new as a gift to yourself. The stress from single-parenting affects not only the way you feel, but your body suffers from it as well. You can correct this problem by observing a healthy diet. To prevent heart conditions, eat foods that are healthy in Omega-3 fatty acids such as tuna and salmon. Green leafy vegetables like spinach will help regulate cortisol levels in your body, and antioxidants, vitamins and other essential nutrients are needed to help fight stress. Exercise will not only help you lose weight and build muscles, but different studies show that they can also help you beat stress. This is tied to the increased production of endorphins (happy hormones) when you exercise. So instead of just lying down on the bed or couch on the weekends, put on your running shoes and jog around the neighborhood, attend a dance class or head to the gym and work with a trainer. Unruly kids are a product of a household that does not follow any set of rules. By imposing some rules that they ought to follow, children know that breaking these will have corresponding consequences. Disciplining your kids is teaching them early-on to be responsible for their own actions. And this could take off a lot of stress from you, too, since you won’t find the need to scold as frequently. You may have heard some people claim that “laughter is the best medicine.” In the past, this may have sounded like a promotional script for a certain comedy show to get their ratings up. However, some studies are now saying that it may have some truth to it. According to experts, depression, loneliness, and being pessimistic can impair the immune system, and you could feel a mix of these emotions when stressed out. All of these can be easily countered with positive feelings. So make it a habit to watch a comedy show and play silly games with your kids so that you can smile and laugh more often. Thoughts like, “You are not doing enough” or “You could have done better.” Or reminders that there are so many things that you may have missed to do and some things that you can’t possibly do due to limitations that you wished were not there. Want to know how other parents make it look easy? They forgive themselves for the things they cannot do and revel on the things that they can. Do the same and stop feeling guilty since no one could really be the perfect mom after all. You can beat stress, guard your health, mind, and emotional well-being through time-management, discipline, sharing responsibilities with other people, eating healthy foods, and working together with your kids. And, remember, you need to be in great shape if you want your kid to see a single mom that is capable of raising them.